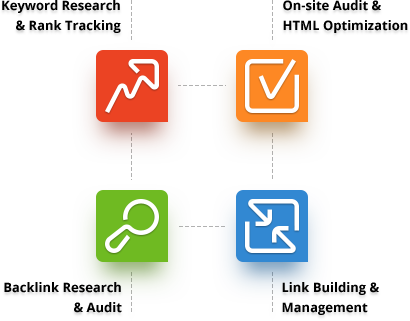 Digital marketer gives more time to concepts and more planning whereas a growth hacker cares only for traffic and users through his hook or cook methods. 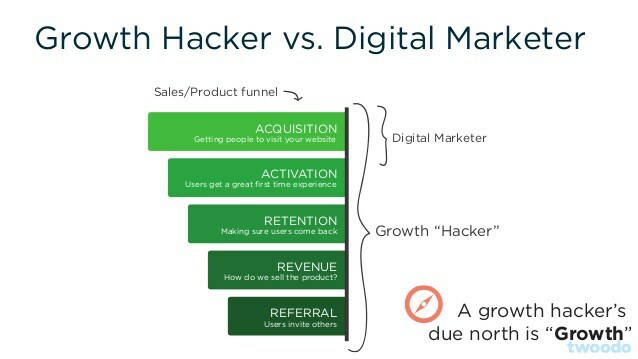 Growth hacker starts his project through competitive analysis whereas a Digital marketer stars his project with Strength analysis.Growth Hacking includes not just marketing, but also everything else that drives traffic, retention, or word of mouth on a website - or simply just growth. It could be a feature on the website that users just love and motivates them to come back or share it w/ their friends. It could be your email signature (Hotmail did this and got millions of users). It could also just be the leaderboard in your website that makes users competitive and improve retention. It could be a button with an awesome call-to-action that just clicks. So, GH is inclusive of marketing, and it is everything that a company needs to do to grow. The term is used quite a lot because nowadays it takes much more than marketing to grow. Actually, most successful high-growth companies have gotten their users through everything but marketing. It's a better term to use so that you don't get stuck in the "marketing" box. Traditionally, people use emails to send marketing emails, but nowadays growth hackers use emails as a bridge for a user who's offline to get them online again using GH tricks. Both growth hackers and marketers have similar goals, but growth hackers have a different method to their madness. Growth hackers focus on core product. When they are working on acquisition and engagement, they start at the product to move the needle. Growth hackers in almost every form and shape live in the product team. Marketers are often ostricized to working on "campaigns" and external measures to move the needle. Most of the time, marketers interaction with product stops at the landing page. While a growth hacker can play in the activation and retention arenas, most marketers would feel uncomfortable leading a development team.